NORWAY. 2013. Vesteraalen. 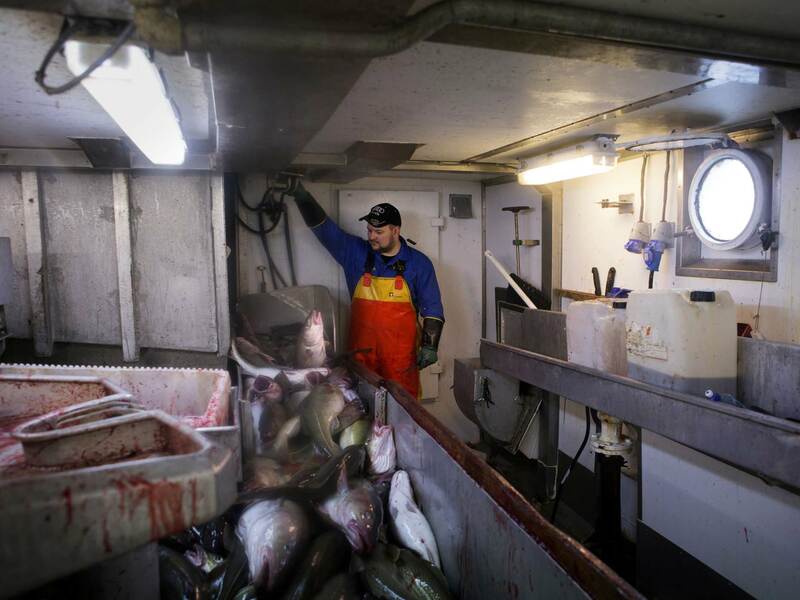 Processing codfish in the hold of a fishing boat at sea.